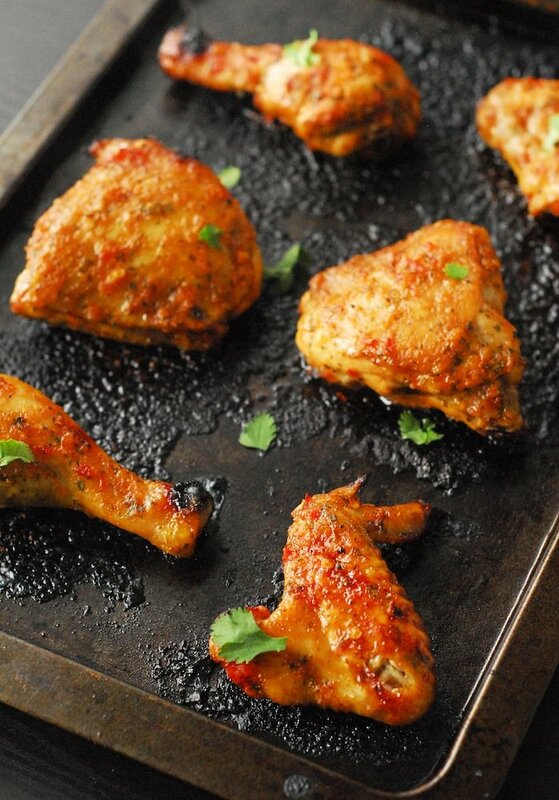 Boyfriend currently has an obsession with anything “buffalo”, in other words containing buffalo sauce and bleu cheese. He’ll ask me what’s for dinner and when I respond, no matter what I’ve said, he retorts, “Can you make it buffalo?” This even includes a request for buffalo enchiladas. I’ve obliged twice so far: once with a buffalo chicken breast and another time with these burgers. I will say, this is not the worst thing that Boyfriend could ask for- I haven’t minded it much at all. 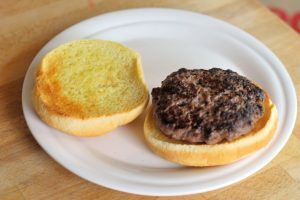 For the patties, I used my standard, and mightily fantastic, burger recipe. It never, ever fails. And I grilled ’em right on up to a nice medium. 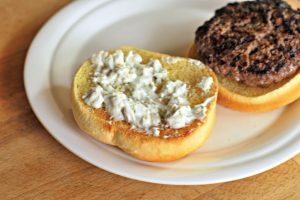 While I was grilling them, I toasted the buns and made a bleu cheese spread. 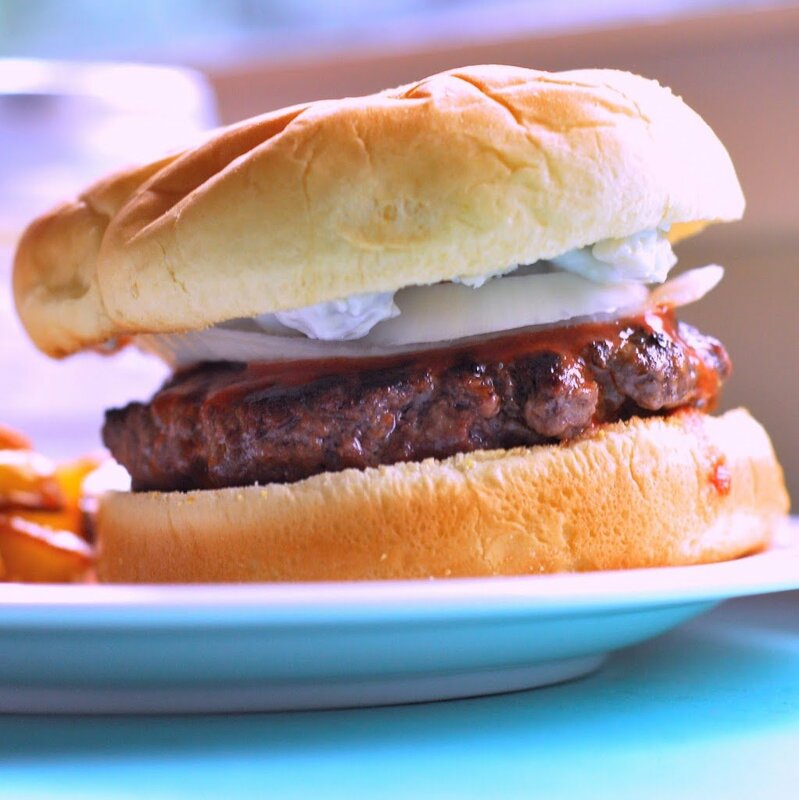 You could just throw straight bleu cheese on the burgers, but it could be a little intense. So I used sour cream and bleu cheese crumbles. 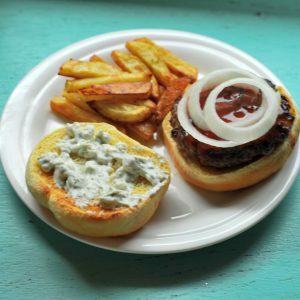 The sour cream toned the bleu cheese down perfectly and made it a little easier to spread over the bun. To assemble the burger, lay a patty on a toasted bun. 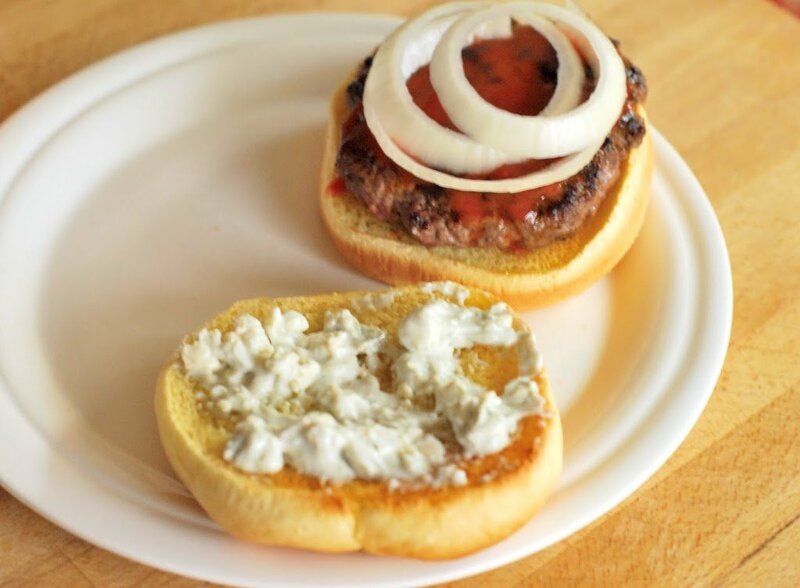 Spread some bleu cheese sauce on the top bun. Then give the patty a few healthy shakes of buffalo sauce, followed by onions. I kept it simple, but you could definitely add some other veggies. I just wanted this burger to be about the buffalo. Add some fries, and you’ve got yourself a bleu cheese buffalo burger! 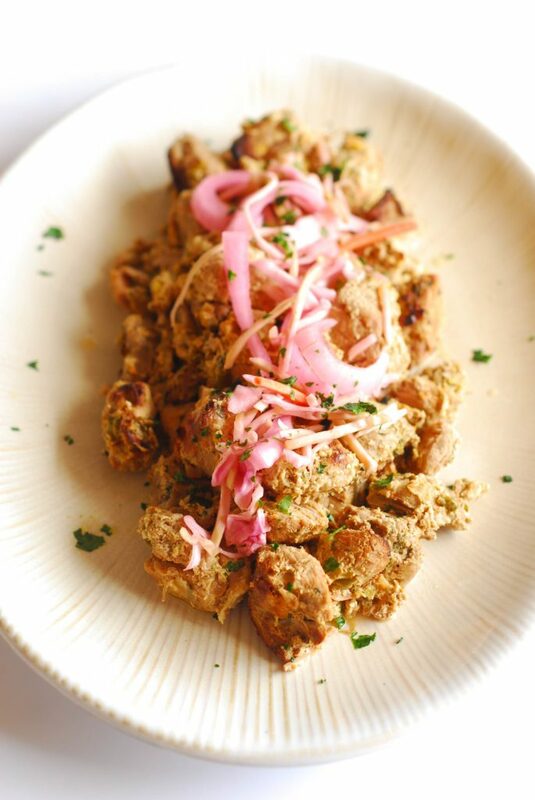 These will definitely be on the menu for many of the upcoming bowl games! The end of football season needs to be savored, after all. And on that note, I must end this post with an obligatory GO DUCKS! In a large bowl, combine all patty ingredients using your hands. 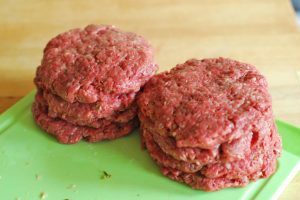 Break the ground beef mixture into 4-5 evenly sized balls depending on the size of your buns. Flatten until patties are ½ inch in diameter wider than the bun. Grill patties on a barbecue, grill pan, or in a nonstick skillet. Set aside. 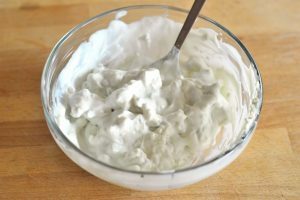 In a small bowl, combine the sour cream and bleu cheese crumbles using a fork to mash the crumbles. 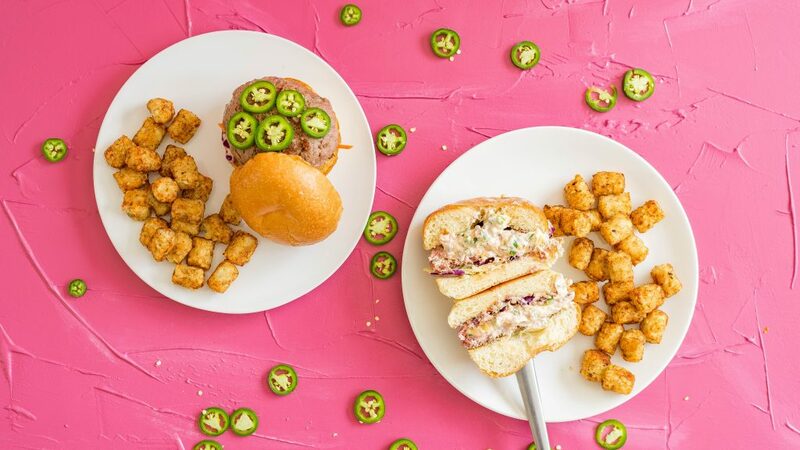 To assemble the burgers, toast the buns until lightly golden. Spread the bleu cheese sauce on the top bun. Top the patty with several shakes of hot sauce and sliced onions. 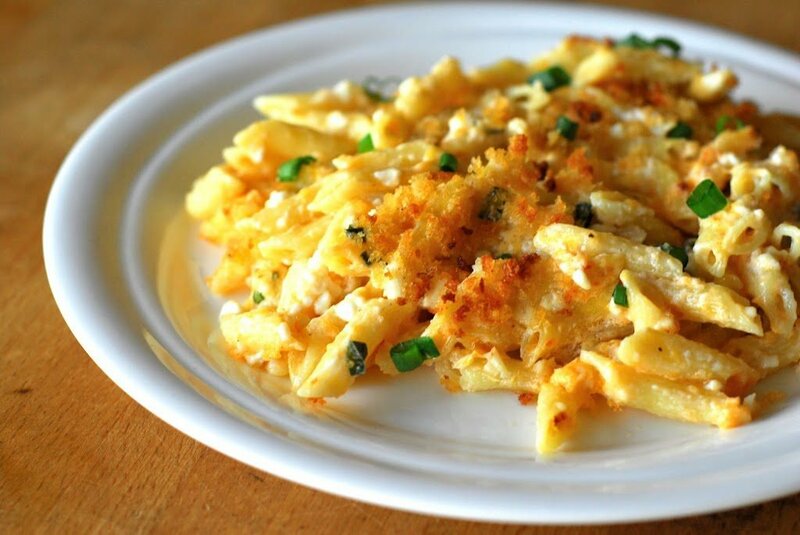 Serve with fries and enjoy!